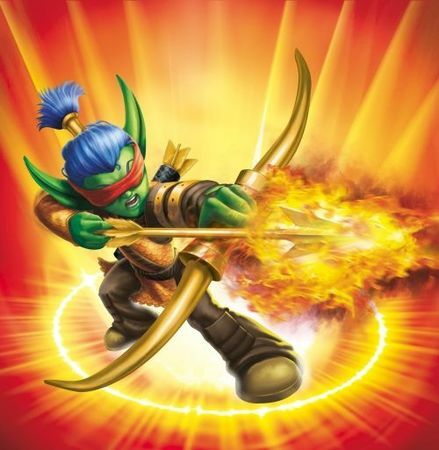 Skylanders: Flameslinger. He's a great archer - and he knows it too!. Wallpaper and background images in the Spyro The Dragon club tagged: spyro spyro the dragon skylanders spyro's adventure. He's a great archer - and he knows it too! This Spyro The Dragon photo might contain boeket, corsage, ruikertje, bouquet, posy, v-snaar, and fan belt.